If you have ever listened to music, chanting, or drumming and felt uplifted, relaxed, or renewed, you are on your way to understanding how listening to binaural beats can improve your life. Binaural beats are specially engineered sounds which gently guide a person’s brain toward a specific brainwave frequency. Brainwave frequencies are the foundation of our moods and states of awareness. When we listen to music, the beat of the music takes hold inside our mind, resulting in a change in our brainwave state. Slow, calm music leads us toward relaxed states of consciousness, and fast musical beats energize and activate us, creating a desire to tap our toes or to get up and dance. Binaural beats create a similar effect, except, with binaural beats you can tailor the listening experience to the specific brainwave state you want to achieve, and the best binaural beats are embedded into musical tracks for an even deeper and more pleasurable listening experience. By listening to binaural beats, you can take control of which brainwave frequency dominates your consciousness at any given time. By adjusting your brainwaves, you can improve your physical, mental, and spiritual well-being. The power of binaural beats was first explored by a German scientist named Henrich Wilhelm Dove. In 1839, Dove was the first to notice how the brain can synchronize to a specific brainwave frequency when exposed to a pair of separate auditory tones, one delivered to each ear. For many decades after Dove’s discovery, little attention was paid to understanding this phenomenon. However, in 1973 a researcher named Gerald Oster renewed interest and research on this topic when he published a paper titled Auditory Beats in the Brain in the journal Scientific American. Oster explored how binaural beats can be used to reduce physical pain, improve memory, and boost mental focus. He noted that listening to binaural beats involved a separate set of neural pathways different from those used in normal auditory processing. Since this time, numerous scientific studies have shown the power and effectiveness for this type of sound pattern to change brainwaves in the listener and thus, change the person’s mood, bring on sleep, increase relaxation, or improve mental focus. Our brains work using electrical frequencies measured in oscillations per second and defined in a unit called a hertz, or Hz. Brainwave frequencies are named after the first letters of the Greek alphabet: Alpha, Beta, Theta, Gamma, and Delta. A binaural beat occurs when a pair of tones with the same amplitude but of differing frequencies are presented separately to each of a person’s ears. Doing this causes the brain to perceive a sound which is the difference in frequency between the two tones, and this pulse is the binaural beat. This beat is not actually heard in the ears but is perceived in the mind. For example, if you hear a tone of 400 hertz in one ear and another sound of 412 hertz in the other ear, your mind will perceive a beat of 12 Hz, and your brainwaves will quickly settle in at this frequency, which is one of the Alpha brainwaves. Delta waves are the slowest brainwaves, occurring between the frequencies of 0.5 to 4 Hz. Delta waves are those present in deep and dreamless sleep and unconsciousness. Theta waves are the next highest in frequency, measuring between 4 and 8 Hz. Theta waves naturally happen when we are in the REM dreaming state and also as we form an intention to do something. Theta waves form a bridge between the subconscious and conscious mind. Alpha waves are between 9 and 13 Hz. Alpha brain states function during memory recall and alert but relaxed periods of mental focus. Daydreaming, fantasizing, and meditation all produce Alpha brainwaves. Beta brainwaves measure at 14 to 30 Hz and are the wavelength of focused problem solving and intense thought activity. They are also present during periods of anxiety. Gamma waves happen in the frequency range of 30 to 100 Hz. These types of brainwaves are less frequent and less well researched, but they are present during the intensive integration of thoughts and memories and are associated with breakthroughs of spiritual awareness. In general, the slowly oscillating frequencies of Delta and Theta are connected to states of unconsciousness, sleep, deep meditation, and subconscious mental processes. The more quickly oscillating frequencies of Alpha and Beta become present when a person is alert, conscious, and focused on mental or emotional processing of experience and information. Listening to binaural beats of a specific frequency is a method for taking control of your own brainwaves and state of consciousness. As you perceive the two tones, your brainwaves becomes synchronized to the difference in frequency between the two tones, resulting in you entering that brainwave frequency zone. However, it is vital to listen to the right binaural beats for the brainwave state you want to experience. For example, if your goal is to sleep better, you must listen to binaural beats which are in the Theta or Delta frequency range. If you want to improve your meditation sessions, certain Theta and Alpha inducing binaural beats will help you achieve your goals. If your goal is to improve performance for intensive problem solving, Beta binaural beats are often the most effective. Listening to binaural beats is safe for most people. The only exception is for people who are diagnosed with epilepsy or a similar neurological condition. If you have been diagnosed with epilepsy or a similar condition, consult with your doctor before using binaural beats. If you do not have a medical condition such as epilepsy, you can feel confident in safely using binaural beats to improve your life. There is a lot more to binaural beats, and there are several different methods for delivering them to the listener’s ears. Some methods require the use of headphones, but others do not. 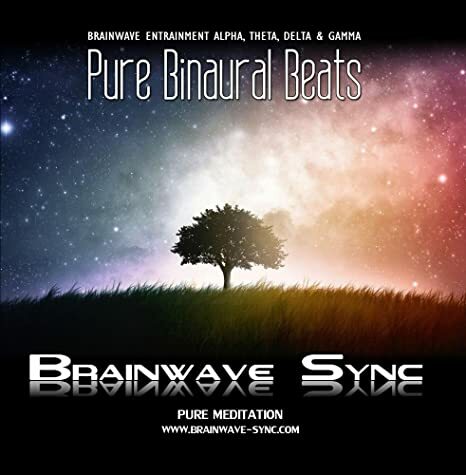 While it is possible to entrain your brain to a specific brainwave frequency with pure binaural sounds, the best binaural beats are often those which are embedded within soothing or energizing musical tracks. In these soundtracks, the actual binaural pulsations are almost entirely hidden inside the music. This delivery method provides the listener with the benefits of binaural beats, coupled with pleasurable musical compositions. 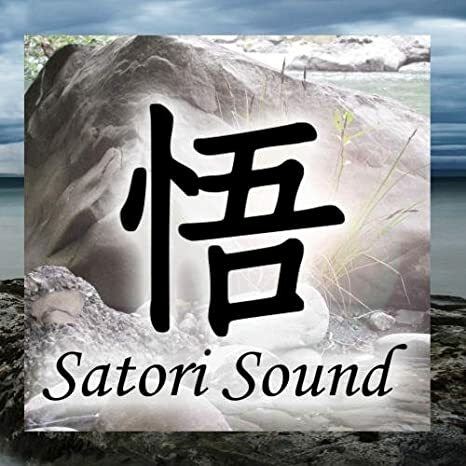 The best way of discovering how binaural beats can improve your life and help you in achieving your goals is by exploring these amazing soundtracks for yourself.